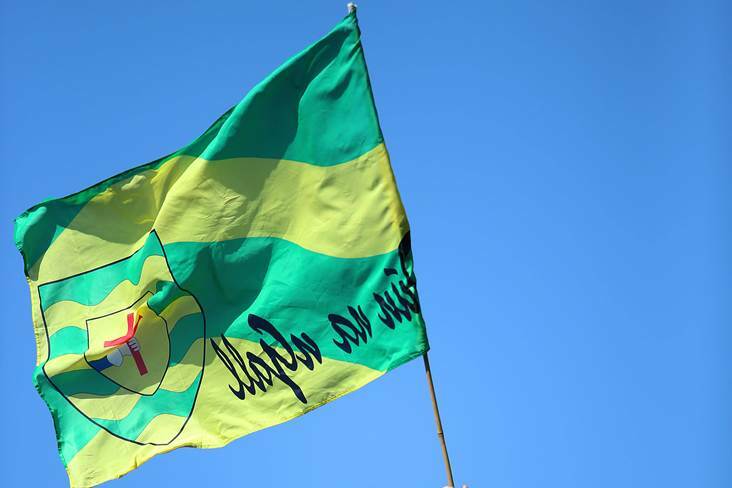 A general view of a Donegal flag. A Coast Guard helicopter was called to a GAA ground in Donegal yesterday after a spectator took ill. There were dramatic scenes in Kilcar when the Rescue 118 helicopter, which is based in Sligo, airlifted the man to Altnagelvin Hospital in Derry after he suffered a suspected heart attack. The man, who underwent surgery last night, had been attending the All-County League Division 1 game between Kilcar and Milford which ended in a 0-15 apiece draw.